The DCEU desperately needs one of its movies to be a hit. The cinematic universe has been inconsistent, to say the least, with Wonder Woman being the only undeniable win for Warner Bros. Even Justice League was seen as a failure, with its lackluster direction and limited understanding of its characters. The biggest problem with Justice League was that it was used to help introduce new heroes to the universe like Aquaman, Cyborg, and the Flash before they ever got their own movies. Justice League being a disappointment meant that audiences were getting an underwhelming first impression of these characters. Aquaman did not look like he could carry his own movie, but I still had hope because James Wan was going to direct the solo film. My faith in his talent was rewarded because Aquaman is a whole lot of fun. Arthur Curry wants nothing to do with Atlantis. After being informed by Mera that he must stop his brother Orm from waging war with the surface world, Arthur reluctantly decides to stand against him to claim the throne that he never wanted. Along the way, he learns the truth about his family and what it means to be a true hero. Aquaman is unexpectedly impressive. It not only tells a cohesive story about Arthur Curry but fleshes out the world of Atlantis. The movie even manages to give us an origin for Black Manta that’s almost completely detached from the main plot line, without it ever feeling out of place or shoehorned into the film. His story culminates with one scene where we see him in full costume, and he quickly establishes himself as a legitimate threat to Aquaman. The characters are sent to so many different locations that the story can feel a bit fragmented at times, but by the time the third act begins the movie is at its best. I also didn’t expect the characters to have nearly as much depth as they do. I was particularly nervous about Orm because of the DCEU’s horrible track record with villains. It didn’t take long for those doubts to be silenced, because Orm is a compelling villain with fleshed-out motivations. He’s much more than a foil for Arthur and is given key moments where he’s able to develop. There’s a scene near the middle of the film where Arthur and Orm are having a conversation. It begins as a simple exchange of words, but it’s clear that, despite never having met Arthur, Orm still harbors resentment toward him. Arthur’s character has a lot more to him than he did in Justice League. He still delivers funny one-liners, but it’s the introspective aspect to him that really drives home his character. These quieter moments where he’s able to reflect on his own emotions are when I genuinely cared about his decisions and the direction in which he chooses to go. It makes the funnier side of him seem cheap in comparison. A lot of times, the jokes are awkwardly placed and rarely land with much effect. Director James Wan is the main reason why Aquaman works. His vision for this world is filled with beautiful visuals and inspired camera work. Most of this film is completely CGI, and that’s used to great effect. Atlantis is gorgeous, and the other kingdoms in the sea have their own unique look. Wan made it a point to give each kingdom their own identity, with specific color palettes that make each shot pop. He’s traditionally a horror director, and he was able to incorporate some horror elements into the movie. There’s actually a jump scare in Aquaman, and it caught a lot of people at my screening off guard. 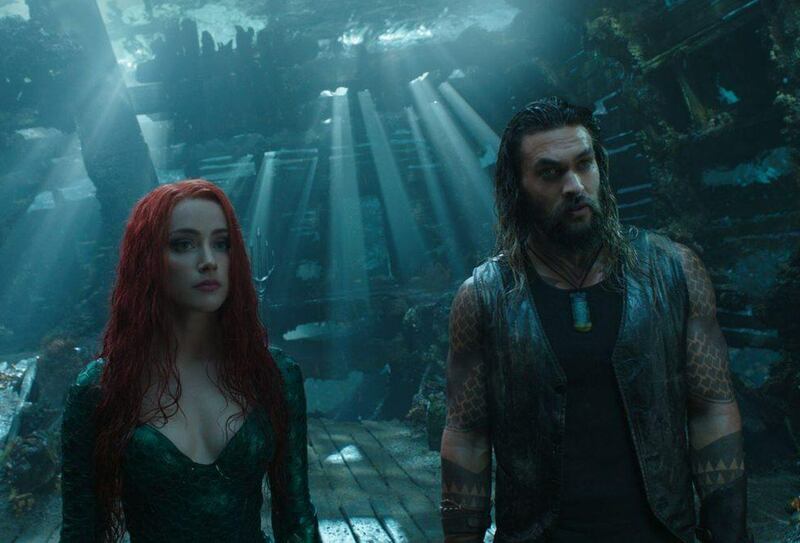 The visual success of Aquaman extends to the action sequences. The first fight in the movie has this amazing 360 shot with very few cuts. It helps set the tone for some of the other fights later in the film. 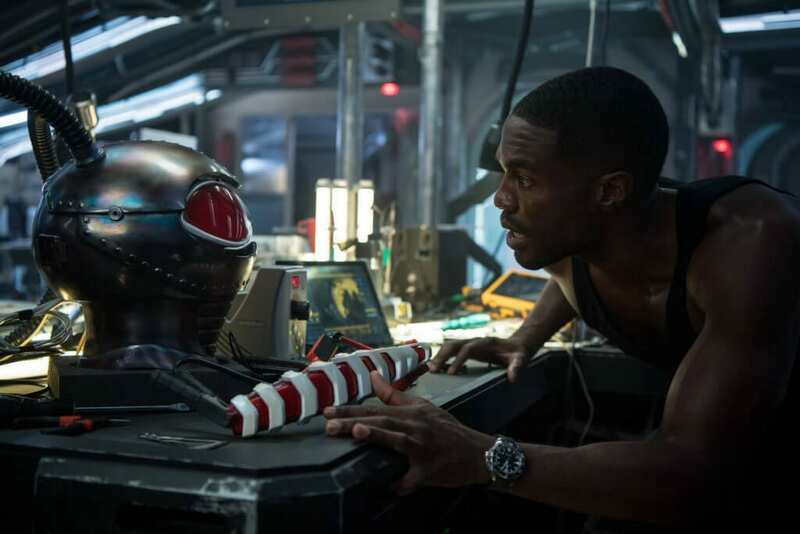 The most ambitious of these is the Black Manta fight. Two fights are going on at the same time, and there’s this beautiful crane shot that captures both of the fights happening simultaneously. The battles underwater look amazing as well. The CGI is top notch, and the fight choreography takes advantage of the environment. The final battle in the third act is where the scale increases a lot. It’s a full-on war, with armies killing each other and a random kaiju appearing out of nowhere. This is the moment where we get our first glimpse at what Aquaman can really do. The acting is inconsistent from the two lead co-stars. Jason Momoa has moments where he embodies the best parts of this character. It’s the comedy that brings down his performance; his comedic timing is not good, and they insist on having him crack jokes time and time again. Amber Heard’s Mera is bad. Her delivery is often flat, and her chemistry with Momoa is non-existent. The best performance is Patrick Wilson as Orm. Wilson frequently collaborates with Wan on movies, and Wan knows how to bring the best out of him. Supporting performances from Willem Dafoe, Nicole Kidman, Dolph Lundgren, and Yahya Abdul-Mateen II help round out the cast nicely. The score for Aquaman is extremely impressive. Wonder Woman composer Rupert Gregson-Williams was in charge of composing the music for this film. It’s safe to say they should keep him on board moving forward because he understands the type of music needed to compliment these larger-than-life moments. The soundtrack, on the other hand, is awful. There are times when songs are used during the scene transitions, and they stick out in the wrong ways. It’s laughable that someone thought those song choices were appropriate for this movie. Aquaman is a great entry in the DCEU. The film establishes the character as a force within that universe and fleshes out the world around him. James Wan deserves so much credit for his vision of Atlantis. The visual aesthetic is beautiful, and it even extends to the costume designs. Some Atlantian soldiers come to the surface world in military gear, and I love how the color of their armor determines their rank. Aquaman and Orm both get costumes that translate to film a lot better than I thought they would. Aquaman has everything people typically look for in a comic book movie. There’s nothing groundbreaking about it, but it’s entertaining from start to finish. I’m confident most people will enjoy it.